BECOME A SUPPORTER by joining our mailing list! The success of Place Alliance depends on its supporters and volunteers. We welcome all organisations and local groups as well as individuals, town and parish councils, local authorities and businesses as members and supporters of Place Alliance. This statement of support enables organisations and individuals to publicly express their support for the Place Alliance and engage with us to help our movement for better quality places. It will also help the Place Alliance to better identify its supporters and share news and information on the current activities. 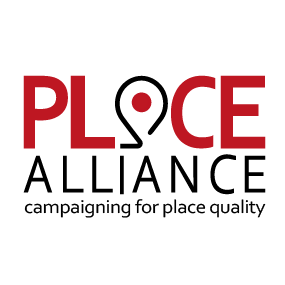 The aim and vision of the Place Alliance and statement on place quality are published on our website. Place Alliance @ The Bartlett School of Planning will use the information you provide on this form to be in touch with you and to provide updates on the Place Alliance activities. You can change your mind at any time by clicking the unsubscribe link in the footer of any email you receive from us, or by contacting us at placealliance@ucl.ac.uk. We will treat your information with respect. For more information about our privacy practices please visit the UCL website. By clicking below, you agree that we may process your information in accordance with these terms.